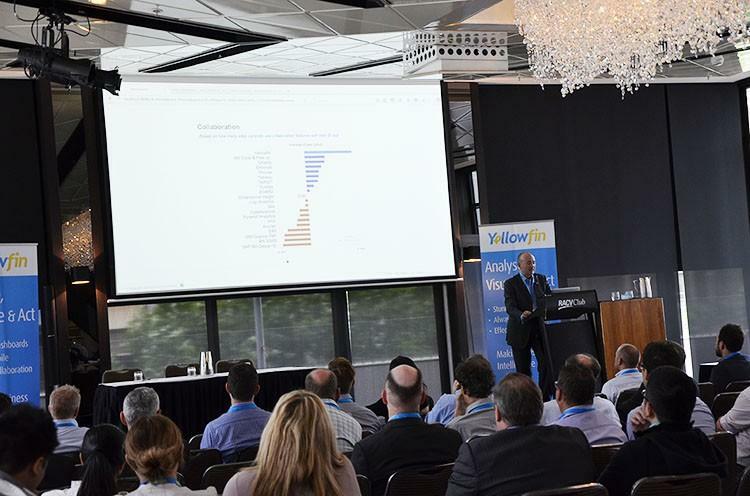 Yellowfin’s Christmas Roadshow in Melbourne and Sydney – thanks for joining us! Thank you for making Yellowfin’s Christmas Roadshow in Melbourne and Sydney such a success. It was a fantastic opportunity to meet like-minded people and build some exciting new relationships amongst Australia’s core business analytics communities. Below, you can access presentation video recordings and slides from the day’s talks. Like to take this further? Let’s talk. As a recognized leader in BI, and with over one million users spread across 70 different countries, Yellowfin can help you address your unique enterprise reporting and analytics needs. Stay in touch via the Yellowfin LinkedIn group (Yellowfin Business Intelligence) and YouTube Channel (Yellowfin Team). For regular news and updates, follow Yellowfin on Twitter (@YellowfinBI).